The hostel has a relaxed and friendly atmosphere and offers quality budget accommodation for groups, families and individuals. All guest facilities are brand new and include a fully-equipped self-catering kitchen, recreational lounges and free WIFI and internet access. Choose from a variety of rooms including double, twin and multi-bedded dorms, many with ensuite facilities. Beds start at €16. 00. * Voted best Irish Hostel by Hostelworld Customers in 2009, 2010 & 2011..
No curfew, no lockout and you can come and go as you please. Open all year. At Rowan Tree Hostel we offer quality, budget accommodation. Choose from double, twin and multi-bedded rooms, many with private ensuite bathrooms. Our dorms sleep up to 14 people and are ideal for school, college, sporting and special interest groups. All rooms are spacious, clean and comfy with many offering great views of the river. We provide the bed linen and cozy duvets. In all ensuite rooms, towels are provided. For guests in standard rooms and dorms, towels can be hired for €1. Safety and security is our number one priority and all rooms operate on an electronic locking system with each guest given their own electronic key card. As the capital of Co. Clare, a picturesque and historic market town taking it’s name from “Inis” which is the Irish name for island. 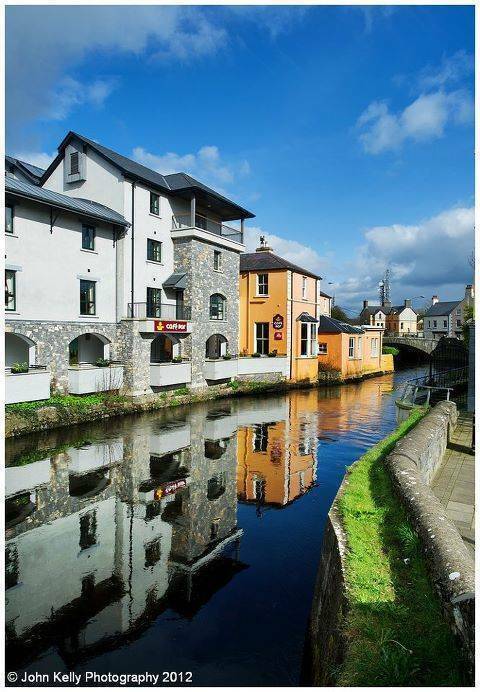 The town dates back to the 11th Century and was formed between two streams on the river Fergus when the O’Briens, Kings of Thomond, invited the Franciscans to establish a settlement within their domain in 1240. Ennis and County Clare are world famous as the home of Traditional Irish Music with year round music festivals and trad sessions throughout the town and county. The town’s history along with modern influences represents a pleasant blend of the historic past and active present. It’s narrow bustling streets and lanes give character and ambiance to the town confirming that it is indeed somewhere very special. It has a rich heritage tradition with some of the finest monuments, buildings and waterways. The town has held a strong presence every year in the All Ireland Tidiest Town Awards and won Ireland’s Tidiest Large Urban Centre 2012. Visitors to Ennis can expect to experience unique and diverse boutiques, shops, cafes, and restaurant’s, it is a tourist centre of major importance and the ideal location for County Clare’s many other attractions. Brimming with character, overlooking the river, Rowan Tree Cafe Bar is informal, relaxed and fun. Open seven days, 10am to 11pm, there is an outdoor terrace for “Al Fresco” dining. Voted best place to eat in Co. Clare 2011. Free wifi. Located in the centre of Ennis and only 20 minutes from Shannon Airport. From the bus station, follow the signs for the town centre. At the Cathedral turn right onto O'Connell Street. After the O'Connell monument turn right into Abbey St and continue past the Ennis Abbey until you come to the Club Bridge.